Calling all students in grades 3-6. 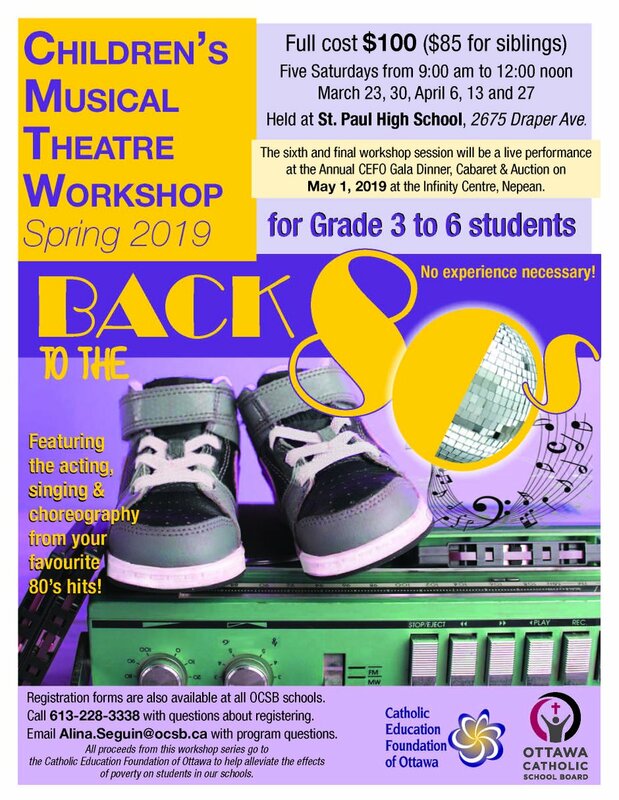 Register online at https://ocsb.ebasefm.com/programs for the Catholic Education Foundation of Ottawa's Children's Theatre Workshop and journey back to the 80s! Program number is 1434.